NET. Good People Semarang Proudly Present . 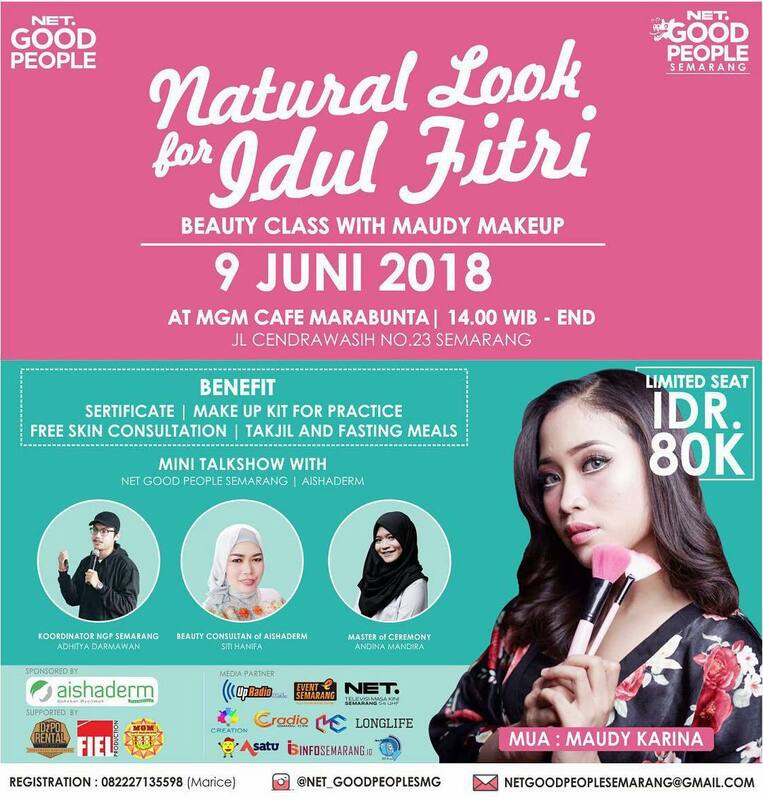 Natural Look for Idul Fitri "Beauty Class with Maudy Make Up" and Mini Talkshow with NET. Goodpeople Semarang & Beauty Colsuntalt of Aishaderm . Date : Saturday, 9 June 2018 . Time : 14.00 WIB . Location : MGM Cafe Marabunta Jl. Cendrawasih No. 23 Semarang . - Doorprize for Best Make Up & Favorite Make Up . - Make up kit for practice -. Free skin consultation . - Takjil & fasting meals . 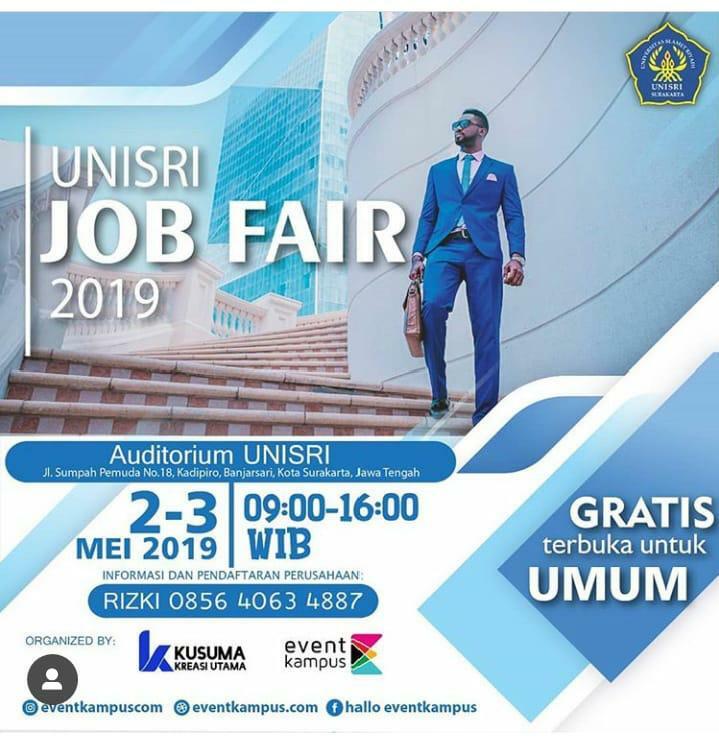 Let's Join! 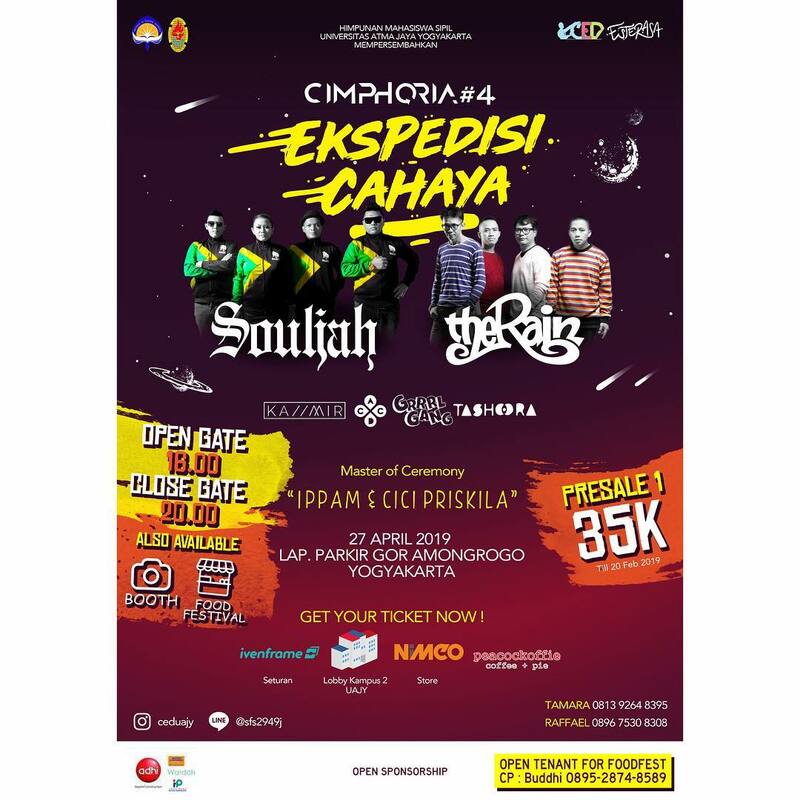 IDR 80K Limited Seat .